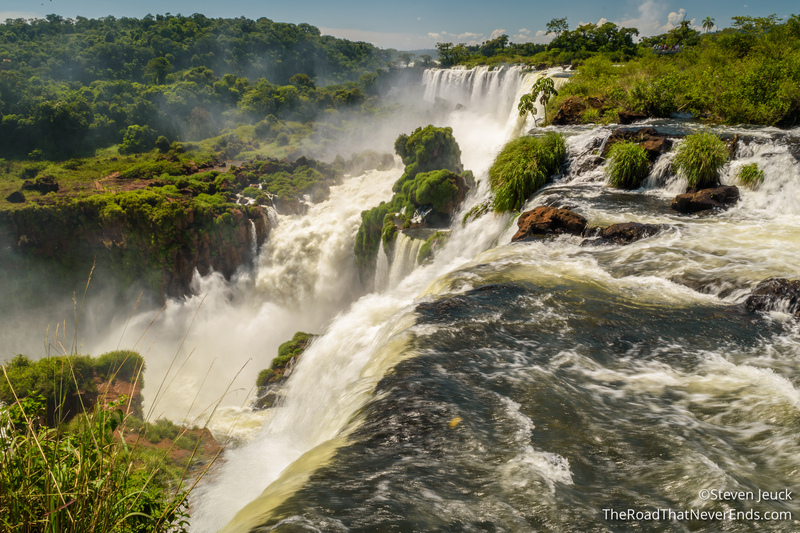 Once we knew we would be traveling to South America, I was determined to make it to Iguazú Falls. 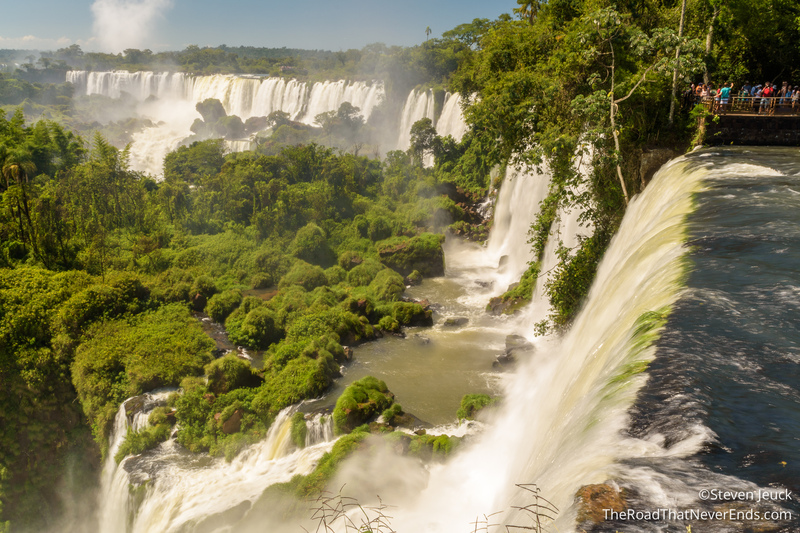 Have you seen pictures of it – it is a beast of a falls. I knew it would put Niagara Falls to shame, and I was eager to get back to nature. 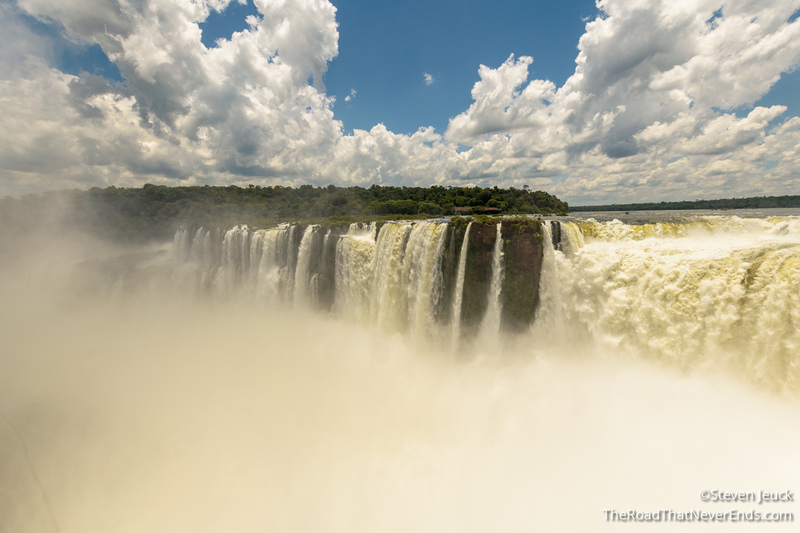 Also, not related, Disneyland just put a clip of Iguazú Falls in their “Soarin’ Around the World” ride, which made me want to see it even more. 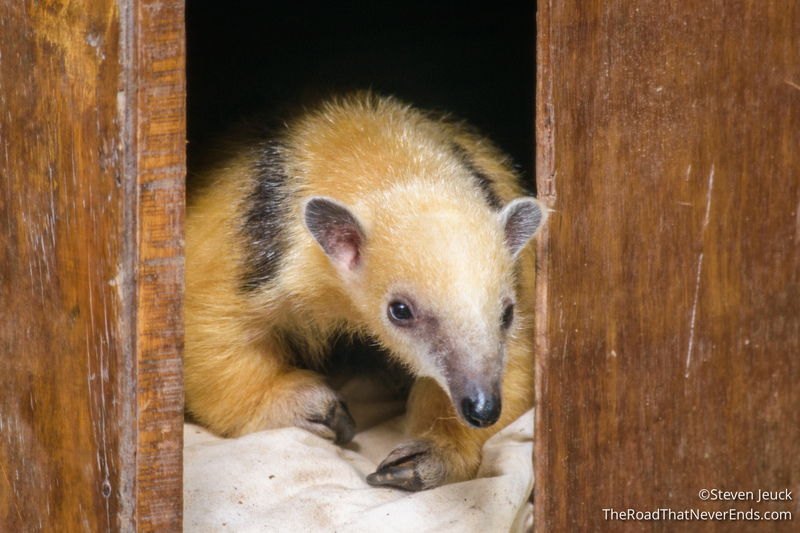 We still had our rental car, and continued driving North from Iberá Reserve. 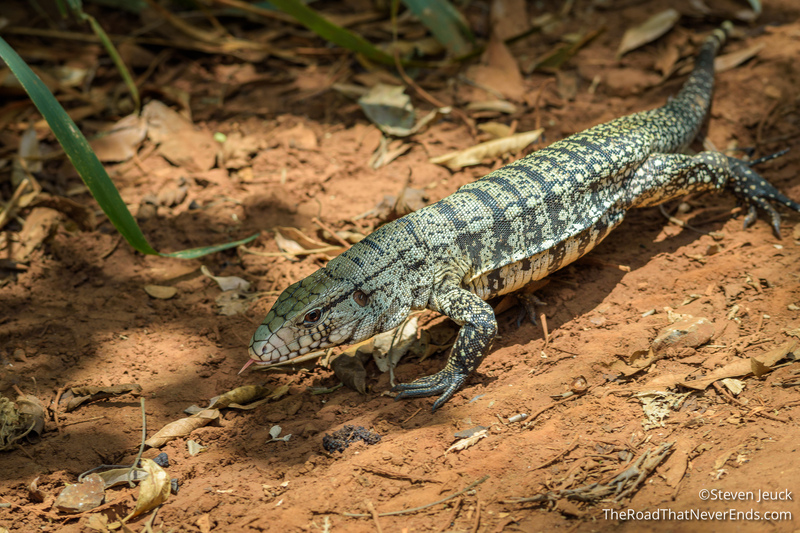 The road leaving the reserve was by far the most sketch road we encountered – pot holes, sand, and large ditches left us often scared and silent. We were in loose dirt and sand, so Steve couldn’t slowdown in fears of us getting stuck, but the ditches and left us terrified and bracing the sides. After about 90 kilometers of this, we were able to get onto to Ruta 14 – which was paved. The road had tolls and police checkpoints, but was probably better for our car and safety than the dirt roads we could’ve taken. Once arriving in Puerto Iguazú (the town nearest the falls), we were able to get around best by vehicle. There is a public bus that takes riders to the falls, but it was cheaper for us to take our own vehicle and pay for parking. We found a hotel/hostel on Hotels.com called MarcoPolo. People had complained that it was too far from town, but for us, it was better than way. We had a parking spot available to us, and the hotel wasn’t fully booked like others in town. The hotel had a swimming pool which we used every day to escape the heat. When I read people’s complaints now about hotels, I think to myself – they must’ve not slept in a van for 35 days, or in a gas station hotel, or in someone’s backyard. 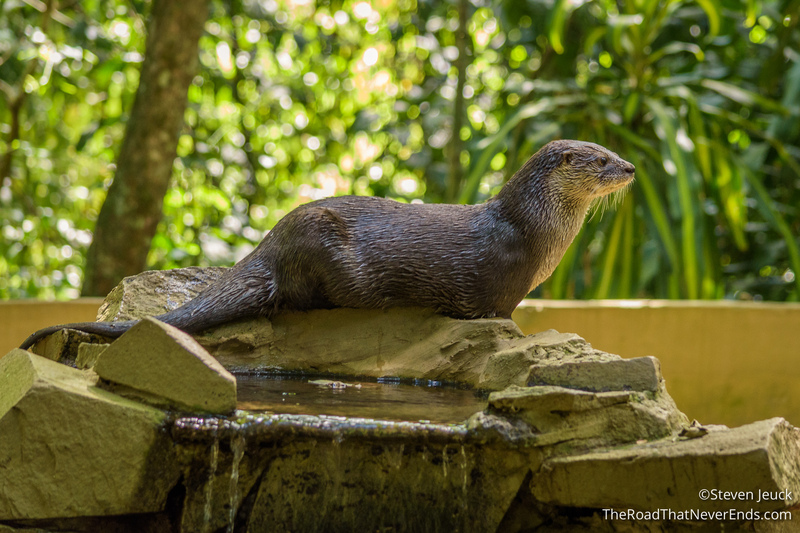 “The hotel has bugs” – we are in a jungle, all hotels will; “The hotel’s furnishings are old” – who cares, I don’t need Mona Lisa hanging in my room to give me a good night sleep; “The breakfast leaves a bit to be desired” – (we totally have said this in the past) whaaaat!?!? Free breakfast, count me in! My perspective has changed on what is acceptable sleep conditions. Of course Steve and I immediately check sheets for any bed bugs, but honestly, we are over looking at the furnishings of the room, the color scheming, and outdated light fixtures – if it’s safe, and comfortable to sleep, done. That being said, I think MarcoPolo was great! The staff was friendly, the pool was refreshing, and the bartender can make a decent cocktail (with a little coaching). 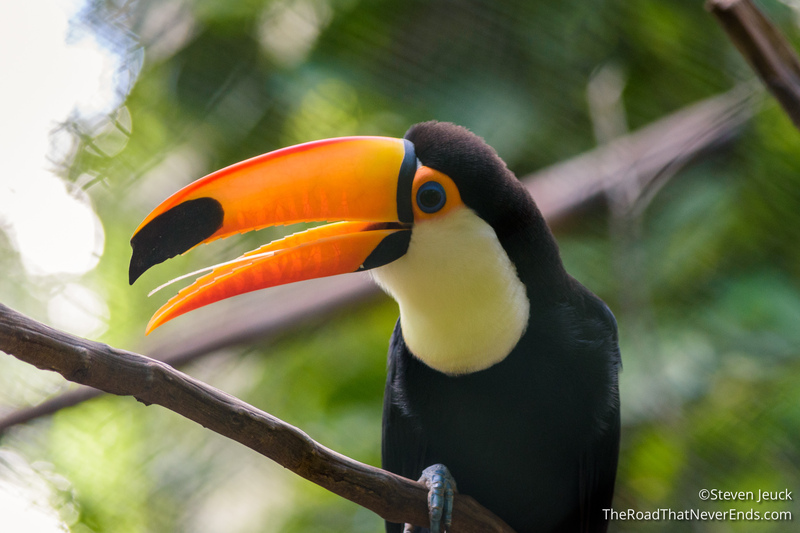 We were happy with our stay there and would recommend it to anyone going to Iguazú. Of course, if you have lots of money to drop, you can actually stay inside the National Park at the Sheraton – in which case you owe me pictures of it because I bet it has one hell of a view! We actually ate dinner every night at our hotel. At first, we were a bit scared, because no one was eating in the restaurant. We learned later on that we just ate way too early (8PM) and most people eat at 9 or 10. Our waiter was very friendly and even served our Stella cold in a champagne bucket. We ate sandwiches, pasta, fish and chicken – they menu had a lot of variety. Our lunches in the area consisted of gas station sandwiches or Subway sandwiches at the National Park. 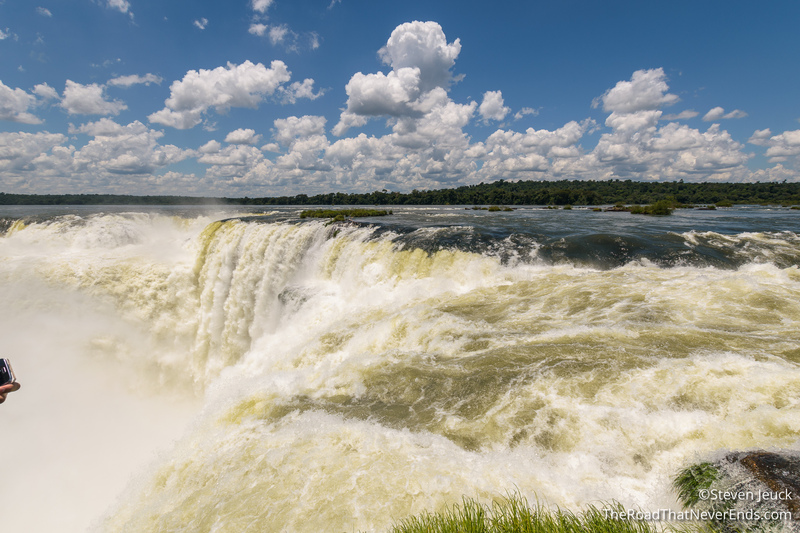 We spent our first full day at Iguazu National Park! We bought our tickets for $750 Pesos (including parking) – about $47 USD. Here, we had plenty of trail/walkway options. We had arrived at 9AM so the park was pretty empty, so we opted for the lower falls trail. This trail gave us fantastic views of the main falls from the lower levels, as well as access to view other various falls in the park. As we moved along the trail, the views just kept getting better and better. We reached a point of the trail where we could stand extremely close to one section of the falls (similar to Niagara’s cave walks). It was so loud, but the refreshing, as it was 11AM and already hot and humid. We moved to the next trail, the upper falls trail, and by the time we arrived there, it was crowded. At the head of the trail is a little lagoon, with people crowding around looking at it. We knew immediately, if there is a crowd, there has to be an animal. We saw in the lagoon an alligator. It broke my heart because someone had thrown trash on the alligator before our arrival. 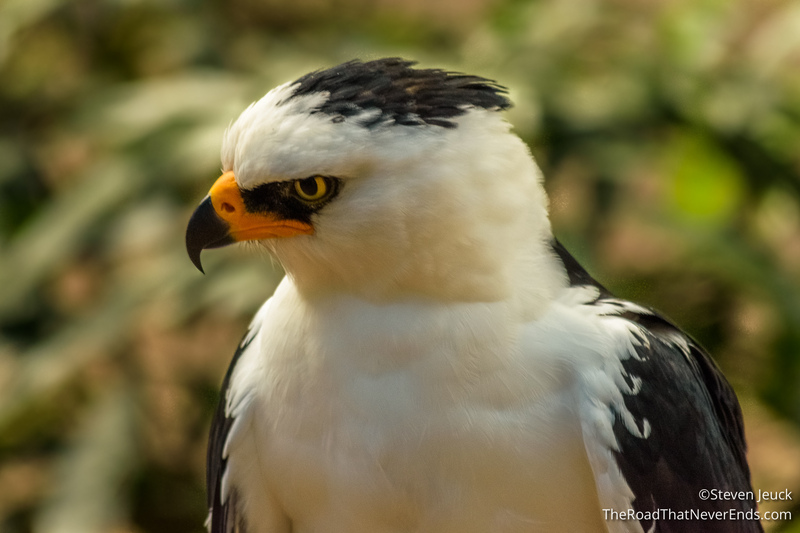 ***Rant Alert*** if you have read most of our blog posts, especially the one from Yellowstone, you know that Steve and I have little patience for those who are disrespectful to National Park Rules, and their inhabitants. For me, seeing the piece of trash on this alligator made me very agitated, but since the perpetrator could be anyone, or someone who left the scene, there was nothing I can do, and that feeling is the worst. 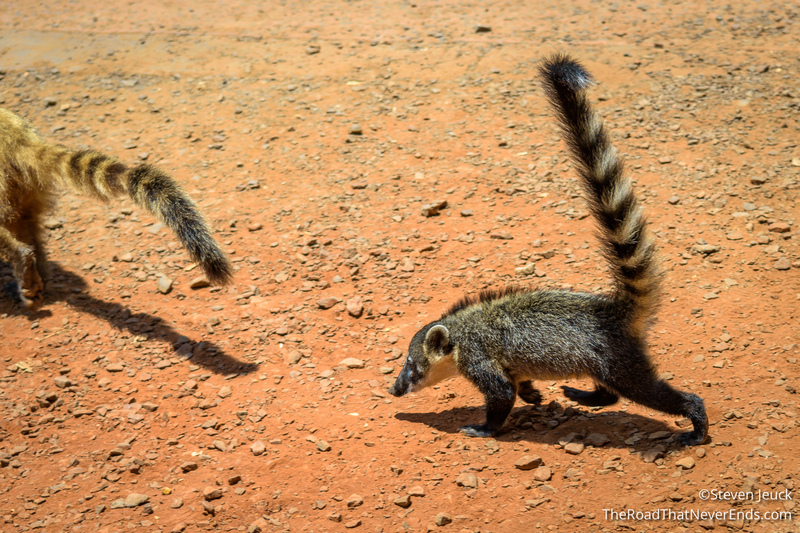 Throughout our time at Iguazu, we saw people openly petting and feeding wild animals (Coatis). The lack of respect for rules and animals, plus the crowds, made this a very challenging park visit. If you are reading this, please, understand, we love nature and animals, and every time someone breaks a rule, feeds an animal, touches an animal, etc. – your act endangers the animal, yourself, and could potential affect the entire eco-system that the rangers are trying to protect. The upper falls trail didn’t offer the amazing views we were hoping for, so we headed towards the last trail- the Devil’s Throat. We had an option to take the train there, but instead we took the trail. The trail was relatively empty, except for the occasional train whisking by, we felt pretty secluded. 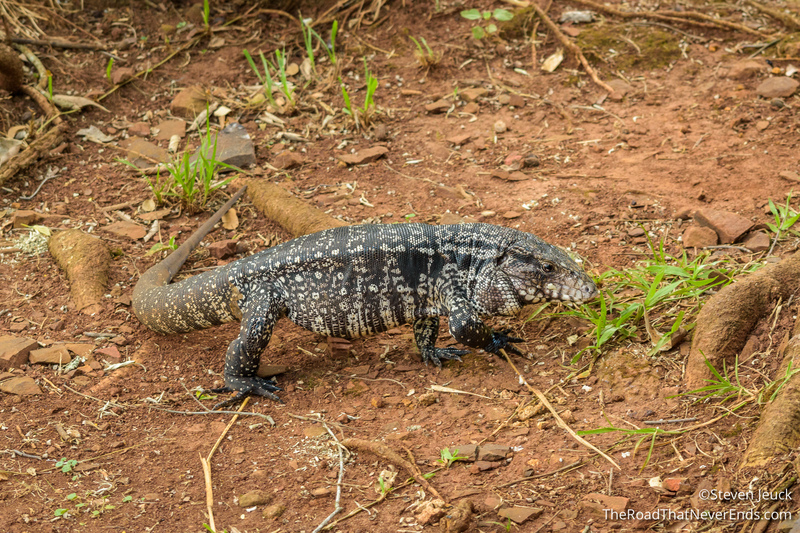 We saw a Toucan on this trail, and a few different lizards. We arrived at the trail head and by this point the park was packed and it was HOT. We hit the trail which was a bit maddening with the crowds. 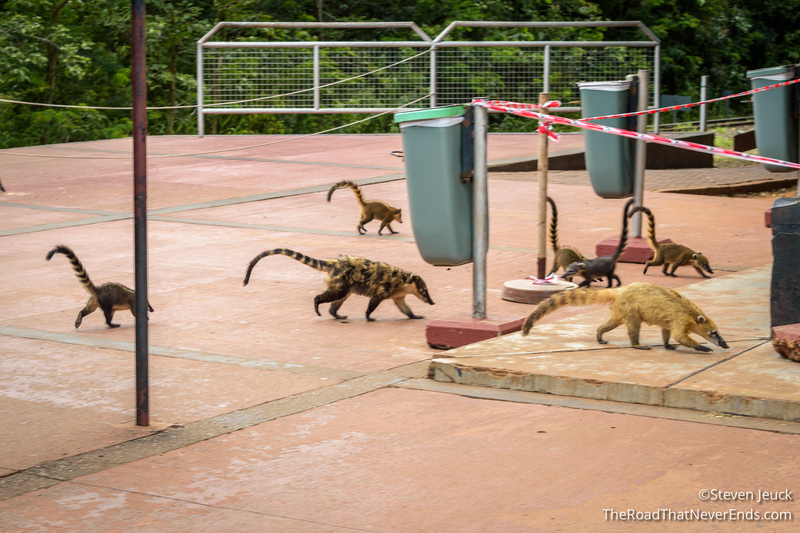 On this trail we saw catfish (being fed by people), turtles (also being fed), Coatis (being fed and petted) and several birds (also being fed by patrons). When we arrived at the view point, getting a viewing spot proved even more infuriating. People stood and watched the falls for 10-15 minutes, with huge lines behind them waiting for a peak. Steve and I were patient and waited for a spot, but soon the crowds became a bit too much for me, and I stepped back to get a view elsewhere. Steve was fantastic, and even got great photos too! We decided enough was enough, we were hot, hungry and a bit exhausted. We headed to the trail head, grabbed a sandwich, and left the park shortly after. Overall, Iguazu Falls was beautiful, and 10x better than Niagara Falls. We are glad we went, but would recommend to our friends to go in off season, and go early in the morning to avoid crowds. 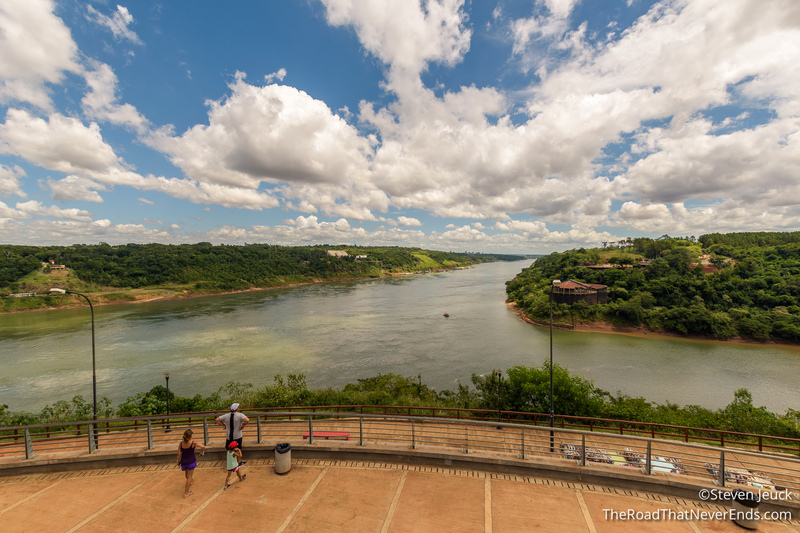 This is an area in Puerto Iguazu that you can see all three borders from a location – Argentina (where we were), Brazil and Paraguay. The monument was not that impressive, but I am not sure if we got there on a day where all the features were “on”. It looks like there was supposed to be a water feature, and perhaps lighting. Maybe because it was Sunday, but the monument was just not “on”(or perhaps just because it was Argentina). We could see the other two monuments, but they looked identical. We spent about 10 minutes here. We decided to take a tour at the animal refuge. It cost us $150 pesos ($9USD) each, and they have a tour in English every hour. Once the tour started, we were put on a tractor and taken further in to the jungle. The refuge takes in animals that were injured (by cars, people, etc. ), and animals people surrender (former pets) and rehabilitates them hopefully back into the wild. Those animals that cannot be rehabilitated live at the refuge for education purposes. Steve and I last year took a tour from our friend Annika, at the learning Zoo in Los Angeles, and she explained to us a lot about animal trafficking since most of the animals there were as a result of it. 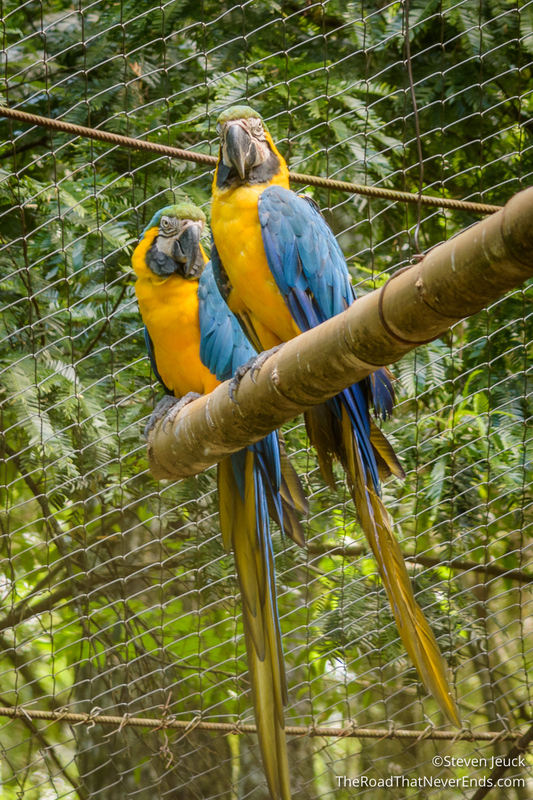 At this refuge, we weren’t too surprised to learn that this is a big problem in South America too – especially jungle animals and birds. 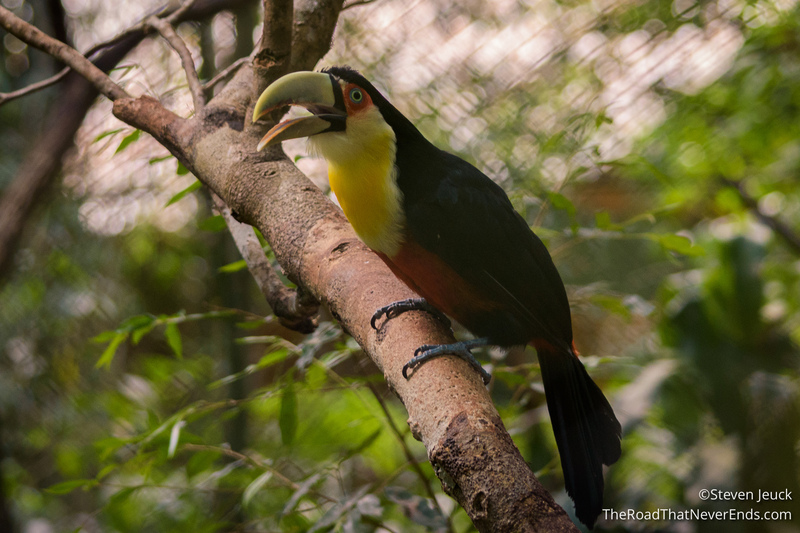 Our tour included many exotic jungle birds like Parrots and Toucans (from trafficking), but even vultures that people tried to domesticate. 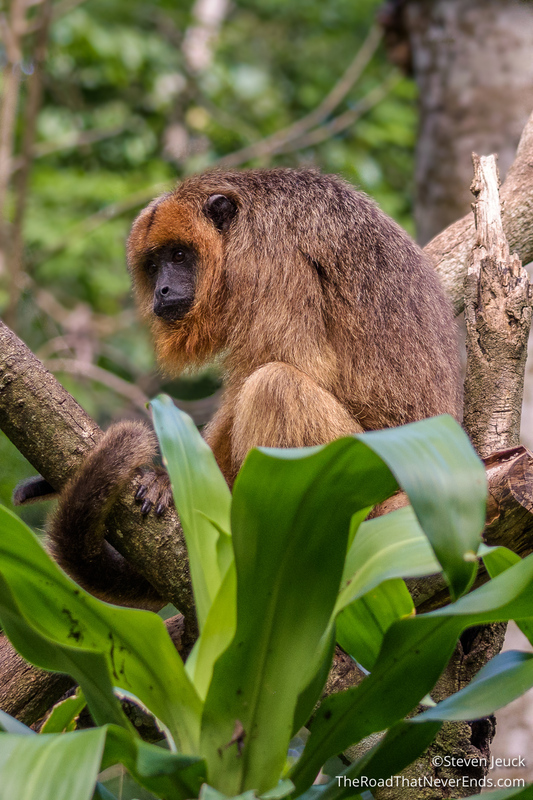 We finally saw some monkeys – both Howlers and Capuchin. 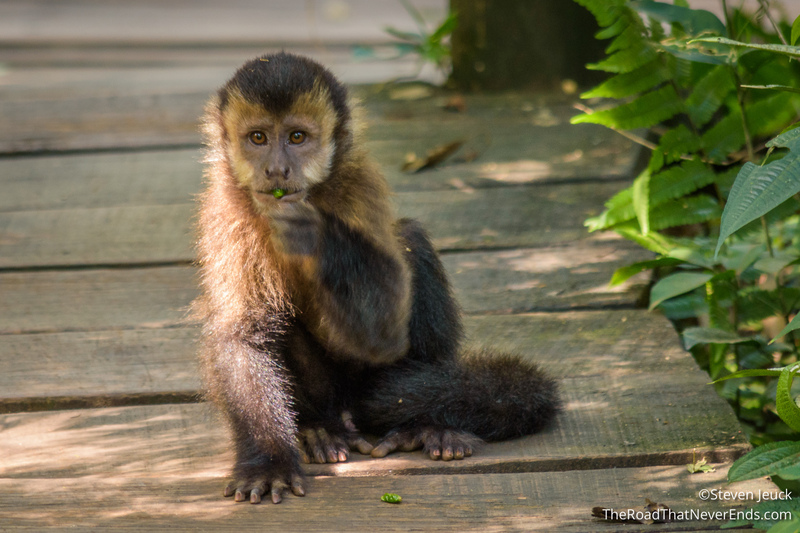 When we toured the Capuchin monkeys, we saw wild monkeys outside of the netted area attempting to take food from the caged monkeys. The wild monkeys showed its teeth at us and growled – it was a bit scary. As a group, we had to clap and scare the wild monkeys further into the wild. We saw a river otter, which was simply just beautiful, a wild boar, who was napping, and a baby anteater who was super cute. I think the highlight for us was seeing the felines. We were told that they were rehabbing a Jaguar, but of course, we didn’t see him since they want him back in the wild, and not used to human contact. 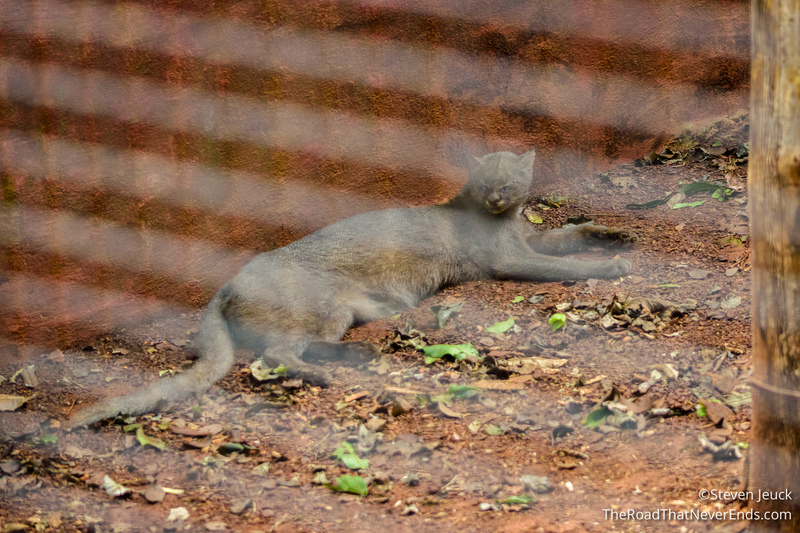 We saw an Ocelot and Jaguarundi, both beautiful! Overall, I really enjoyed our visit to the refuge, and thought it was a great way to see animals we wouldn’t have otherwise seen. Love the photos, especially the falls one. This Capuchin Monkey is really cute. I don’t think I have seen on before.